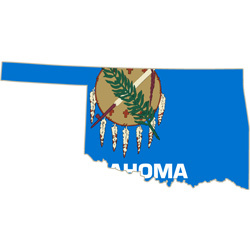 You can request for your Oklahoma driving record or motor vehicle report (MVR), through the Oklahoma Department of Public Safety (DPS) Records Management Division. The Oklahoma Department of Public Safety offers the following types of driving records: Non-certified driving record summary and certified driving record summary. Your driving record contains information on the last three years of your driving history, and contains any traffic accidents, convictions (including DUI convictions) and traffic violations. You will only need a completed Records Request and Consent to Release form (DPS 303RM 0097) and the required fee. The state does not offer free driving record; the type of driving record determines the fee you will pay. The charges for a certified driving record are $28 and $25 for a non-certified driving record. You can request for another driver’s driving record if your request falls under one of the following permitted use categories: A federal, state, or local court conducting official business, an attorney working on a case and an insurance agency adjusting premiums or investigating a claim. For more information visit the Oklahoma Department of Public Safety.